Graceful residents of the canopies in many tropical Asian rainforests, gibbons are also wondrous singers whose morning calls fill the forests with sound. Gibbons are under immense threat, both from habitat loss and from hunting for traditional medicines and the pet trade. While one species of gibbon is listed as Vulnerable, the other 15 species are either Endangered or Critically Endangered. Protect gibbons and their habitat. Build capacity in range states. Conduct scientific research on gibbons to help inform conservation strategies. 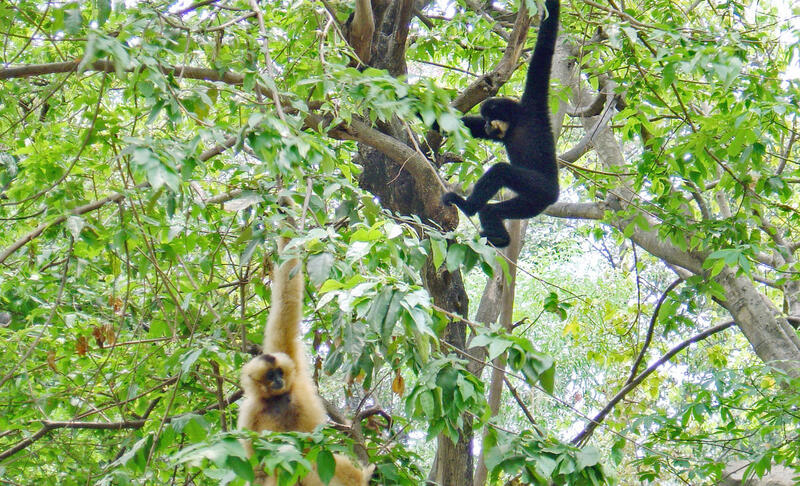 Monitor gibbon numbers, population trends, and threats to gibbons and their habitats. We collaborate with local governments to conserve critical populations of 11 of the world’s 16 gibbon species. WCS provided technical support that helped local governments create or expand seven protected areas critical for gibbons across Asia. WCS's technical support to local governments has helped create and expand a suite of protected areas critical for gibbons across their range. WCS provides technical training to hundreds of forest rangers and park management authorities every year to prevent loss of gibbon habitat and stop the killing of gibbons. To ensure gibbon management strategies are informed by the most current data, WCS staff across Asia keep a close watch on threats to gibbons. 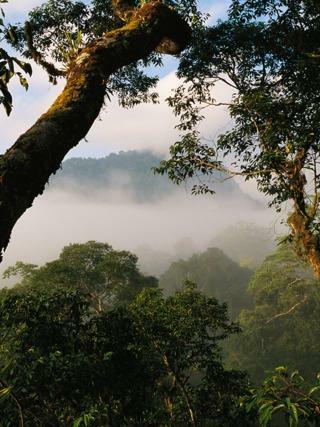 WCS intelligence networks monitor the illegal trade in gibbons, and our close collaborations with ranger patrols ensures that we are up to date on all immediate threats to gibbon habitat. Orangutan trader Vast Haris Nugroho was sentenced to two years in prison and fined 10 million Indonesian rupia (IDR) , the equivalent of $750 USD, in Medan, North Sumatra, Indonesia.